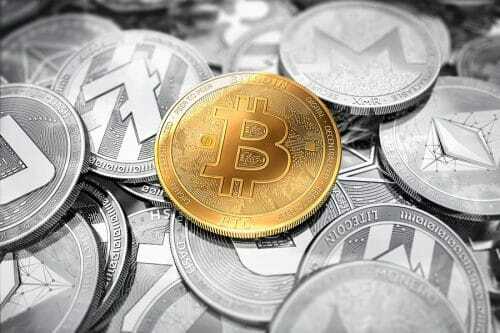 A cryptocurrency exchange, clothing designer and customized apparel company bought domain names. Blockchain and cryptocurrency companies continue to buy domain names, and this week’s chart-leader at Sedo was BTCExchange.com for $55,000. This was one of 20 end user sales I uncovered by reviewing Sedo’s weekly list of sales over $2,000. Also notable is that a .co.uk domain sold for £22,500–a high amount for a .co.uk–but the buyer isn’t known yet. Here are the end user domain name sales I uncovered in Sedo’s list this week. Want to register a new TLD with one of these suddenly hot terms? You’re going to deal with the TMCH. Remember the Trademark Clearinghouse for new top level domain names? By getting a mark filed with the Trademark Clearinghouse (TMCH), a company can get first rights to a domain matching the mark when a new TLD goes through sunrise. Also, people that try to register a domain matching the mark get a warning during the start of general availability. This triggers a notification to the trademark holder, too. I’ve documented how some companies tried to game the system. But with new TLDs coming out with lackluster interest, the concept of premium domains with premium pricing, and new TLDs rolling out slowly now, you don’t hear about it much more. So you might be surprised to see that Blockchain and Crypto are in the TMCH database. I might give the crypto trademark owners a break. There are three marks in the database, apparently from two different companies using Swiss trademarks. Their websites are bordotek.com and crypto.ch. I’ll cut them some slack because they are in the crypto-security space, not cryptocurrencies. But blockchain? A French technology company called Athanor has registered its mark in the TMCH database. Hmm. There are no registrations for Bitcoin and Cryptocurrency. This is the tenth and final post in a series covering the most-viewed stories on Domain Name Wire in 2017. You can tell a lot about what companies are up to by observing domain names. The top three stories on DNW this year (in terms of views) were scoops I uncovered based on domain name registrations. The most read story was about Amazon.com registering domain names related to cryptocurrencies like bitcoin. This isn’t a scoop (yet), as the company has not announced any initiatives related to these domains. The second most-read story was my scoop that DowDuPont plans to name its agriculture spin-off Corteva. While the company has not announced it yet, it registered a slew of domain names that indicate Corteva is the current front runner. And the third most-read story was my scoop that the Verizon Center in Washington D.C. would be renamed the Capital One Center. It became official about a week after I broke the news. Here’s to many more name scoops in 2018! Brandable domain marketplace now accepts bitcoin as payment for domains. Domain name marketplace BrandBucket is now accepting bitcoin as a form of payment. Over the past ten years short, pronounceable domain names have increased in value as the number of available names for use in commerce is decreasing. Historically, the value of domain names transacted in the aftermarket has increased 10% to 30% every year, with little or no downturns. This points to domain names being a stable investment option. And similar to cryptocurrencies, domain names are easily transferred between parties, can be owned anonymously, and have clearly identifiable premium attributes: length, spelling, pronunciation, and proximity to commonly used words and phrases. .Com is a hot cryptocurrency. There are many ways to invest in cryptocurrency, including buying relevant domain names. Amazon is likely on the list because the company registered a bunch of domain names related to services announced at AWS re:Invent last month. It’s worth noting that Ethereum is a trademark. Verisign’s trending keywords list represents the terms that had the biggest jump in registrations from one month to the next. While cryptocurrency is still hot, other keywords are more common in absolute numbers.